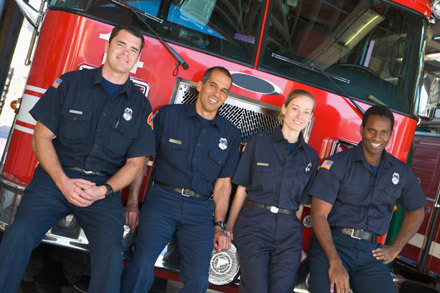 Hosting a fundraising project or special event benefitting the Firefighters Burn Institute is a fun and fulfilling way to help our organization! Third Party Fundraisers plays a significant role in raising funds and awareness of our mission to assure that the best possible burn treatment and burn recovery programs are available in our community and beyond. With your help, we can continue to expand and improve our programs and most importantly, continue to make a positive impact in many firefighters and burn survivors’ lives. We are grateful for your support! Before you start planning your fundraiser or special event, please make sure to read the Third Party Fundraiser Guidelines and FAQs and then submit an application at least 30 days prior to the proposed event date. If you have any questions, please contact our Events Manager at 916-739-8525 or lisa@ffburn.org. The Firefighters Burn Institute was built with the dedication, dream, and working hearts of people who care and want to bring healing to those affected by the devastation of a burn injury. Become a part of our team of passionate, gifted individuals to inspire and accomplish great things. You don’t have to be rich to give your time and talents and your contribution gives healing a path to the burn community. Firefighters Burn Institute has a group of volunteers called COMMUNITY CONNECTIONS AMBASSADORS that do great things for our organization. As an Ambassador, you will receive one two-hour training session that will equip you to be an informed and confident representative of FFBI. The Ambassadors work beside the staff at fundraising, community and corporate driven events all over the Sacramento area and beyond. We inspire people just like you to serve, and frankly, we have fun, too! 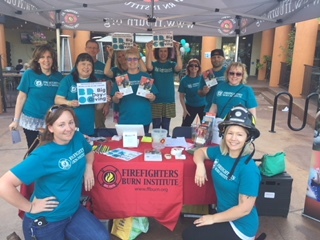 To find out how you can join this dynamic group of volunteers please contact Peri Henderson at (916) 739-8525 or peri@ffburn.org.